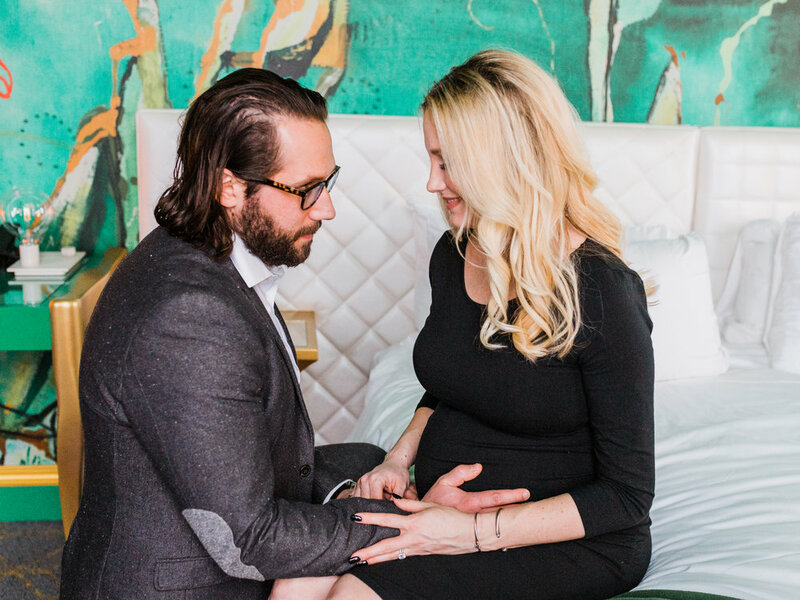 When Alicia reached out to me with her vision for an artistic maternity shoot, I could not have been more excited! Her vision was unique and we had a blast at the newly opened Angad Arts Hotel in St. Louis, where each room features a vibrant theme of yellow, green, blue or red. 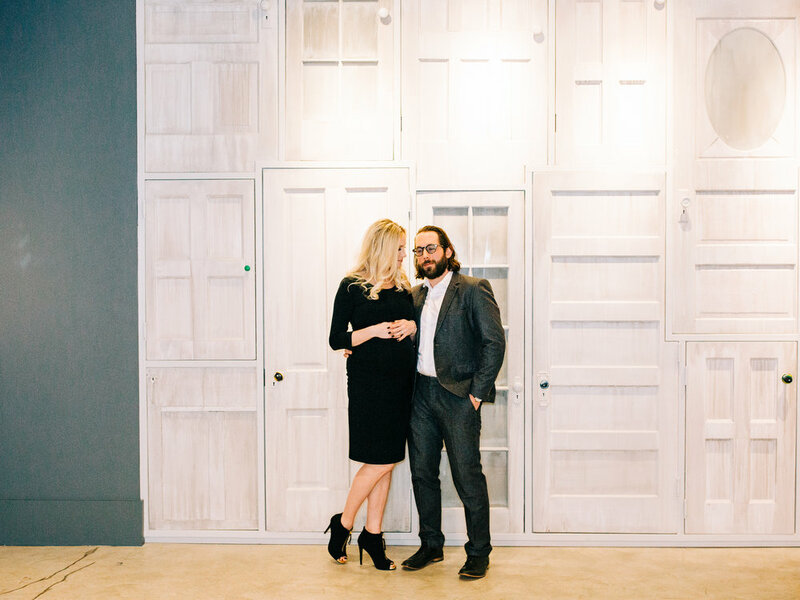 Alicia and Luke chose one of the green rooms, and the significance that green represents life and renewal could not have been more perfect. 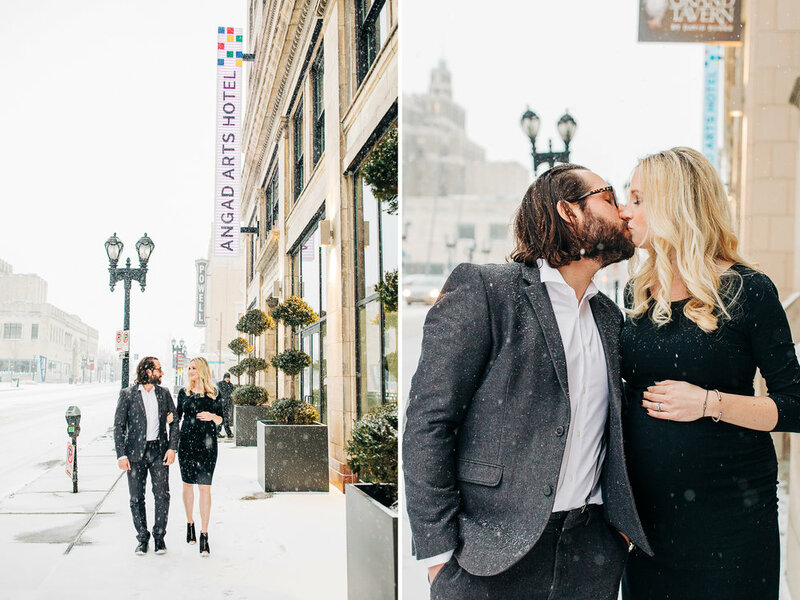 These two enjoyed a fun little stay-cation just a month before their first baby is due, and we had a blast exploring the hotel and (very) briefly braving the frigid winter weather for some pictures in the snow. © 2018 Dorothy Louise Photography LLC // Fine Art Wedding Photography // St. Louis, Missouri. Available for Travel.